This Unit was designed for use with Tail Lifts Controllers. 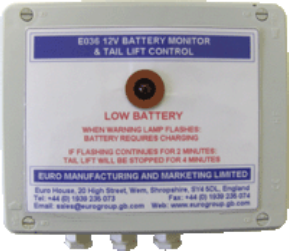 The Unit monitors the Battery Voltage. 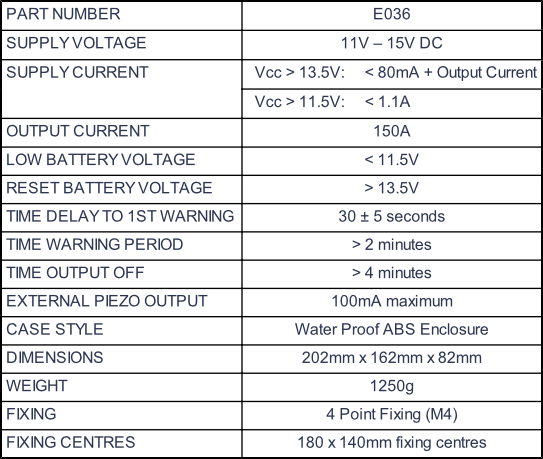 Once the Battery Voltage has dropped below the predetermined minimum level (see table ) for more than 30 seconds the Lamp flashes and the Piezo sounds. 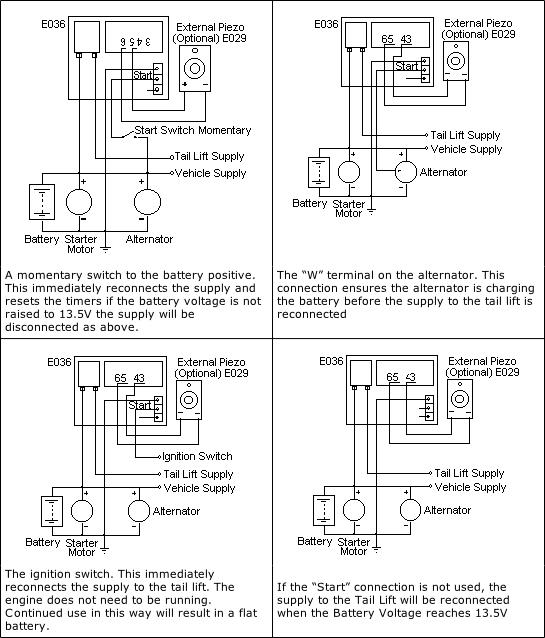 If the Battery Voltage is not raised to an acceptable level (see table) within 2 minutes, the Solenoid operates to disconnect the supply for 4 minutes. During this period the Lamp and Piezo remain on continuously. This 2 minutes, four minutes cycle is repeated until the Battery Voltage is raised to an acceptable level (see table). A “Start” connection is provided, which reconnects the supply and resets the Timers. This can be activated by one of four methods - wiring diagrams are supplied with the Unit.